Before making any hasty decisions when it comes to replacing your missing teeth, your dentist encourages you to explore dental implants and what they can do for you. There are many types of dental restorations, but traditional options just don’t compare to the benefits that dental implants hold. You’ll see why in a second! Unlike fixed bridgework (dental crowns and bridges) that require neighboring teeth to support them, or dentures that can cause slippage and require denture adhesives, dental implants naturally fuse with your body. Not only can they replace one tooth, but they can anchor bridge work to the jaw rather than using your natural teeth for support. How Can You Benefit from Dental Implants? Your dental implants will keep the strength of your jawbone so that your whole mouth stays healthy. Dental implants will keep blood flowing and tooth roots stimulated, keeping your gums in great condition. Dental implants ward off other dental concerns that can come with missing teeth. Dental implants will make you feel great about yourself again because you’ll have a full, beautiful smile! Now, Which Dental Implant Is Right for Me? Endosteal dental implants are shaped like a screw, which the doctor surgically places right into your jaw. Subperiosteal dental implants are implants that rest on the bone to often support your dental prosthetic. 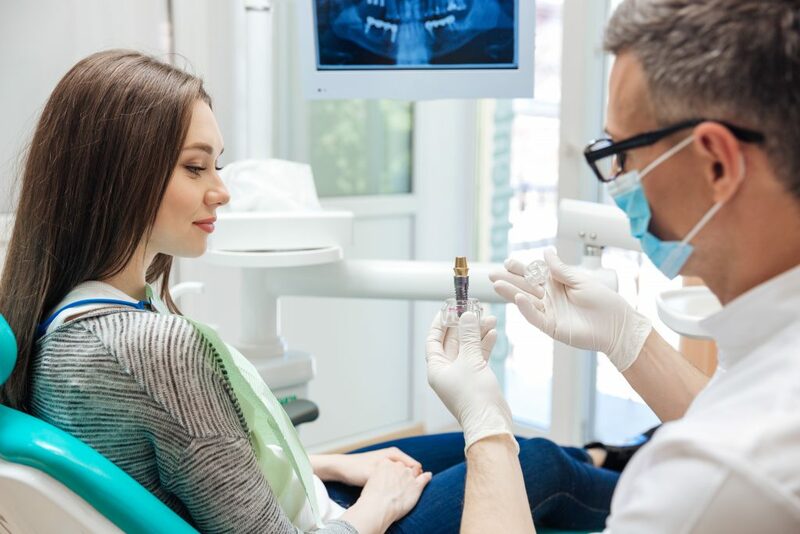 Since everyone’s mouth is different and every case of tooth loss is also different, your implant dentist will be able to discuss which is best for you based on your current oral health. Here at Anderson Family Dental, we want every patient to have a full, functional smile. This means that when you are facing tooth loss, you should feel comfortable and confident confiding in our team! By simply giving us a call, we can start developing a plan to restore your smile’s health and aesthetics with the right dental restoration for you.